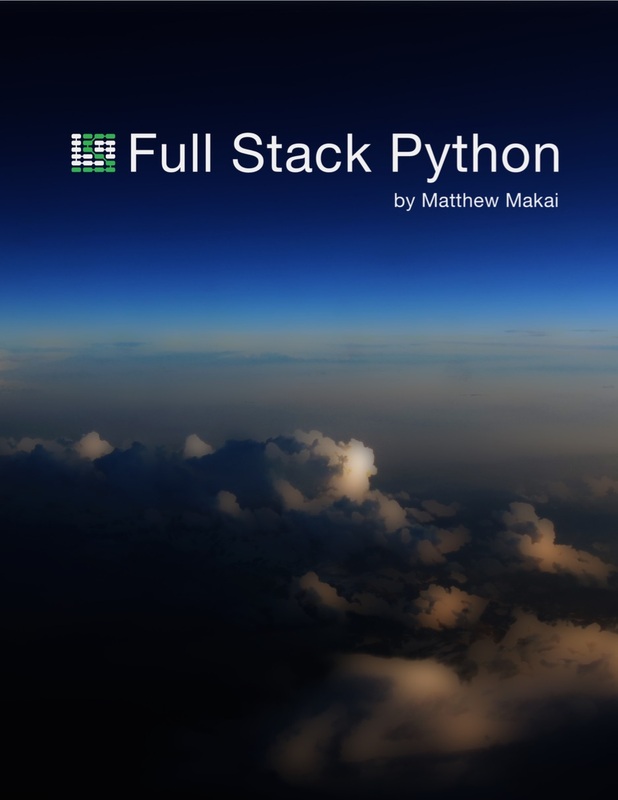 The Full Stack Python Guide to Deployments is a new book by Matt Makai originally released in July 2015 and most recently updated on September 9, 2016 with detailed step-by-step tutorials for deploying Python web applications. There's also a book bundle with a nicely formatted copy of the Full Stack Python website. 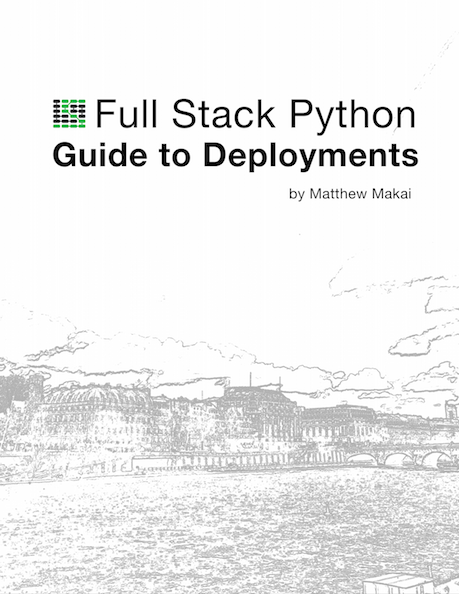 The content in The Full Stack Python Guide to Deployments is newly written just for this book. It works well either by itself or in combination with the material available on Full Stack Python. 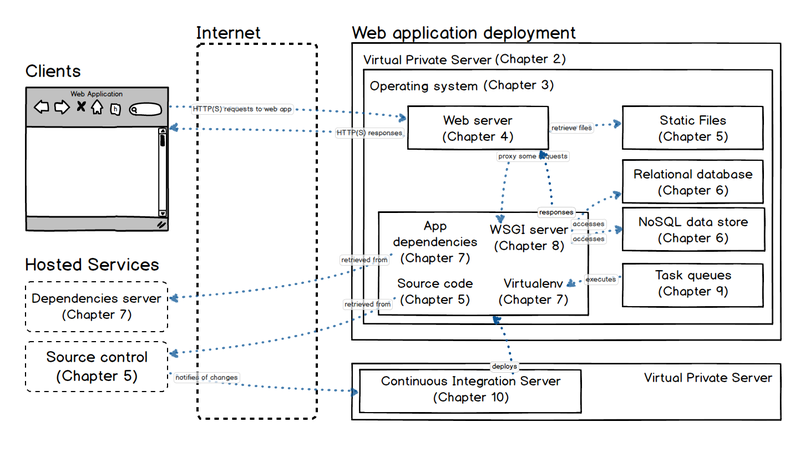 Throughout the book you'll take an example open source Python web application through a complete deployment on a virtual private server. In each chapter, we will first learn how to deploy the application manually, to fully understand each step, then automate the steps with Fabric and Ansible. We also set up a continuous integration server to automate the deployment process once we have our Ansible playbooks in place. Here's a copy of the current table of contents so you can see each chapter and section contained in the book. In the bundled version you'll also receive a PDF and EPUB copies of the Full Stack Python website content, which clocks in at about 200 pages, shown above. Still have questions? Check out the frequently asked questions (FAQ) page for more information.